After this year’s historic election victory for Colorado progressives, the next steps are coming into view. After four years of gridlock and obstruction with Republicans stonewalling progress with their one-seat majority in the State Senate, in 2019 Colorado has a chance to finally create lasting solutions to the problems that have vexed our state for a generation. This is not a moment to talk ourselves out of doing the right thing. This overwhelming victory for Colorado progressives is a mandate to lead, not to second-guess the voters’ clear instructions. In Colorado’s booming economy, no one should struggle to afford housing or medical care. We can take the pressure off the next generation of Americans by making college more affordable. We can provide for our roads and our education system, and every other service people expect from their government, not make a false choice between them. And from protecting our natural environment to protecting the dignity of every Coloradan regardless of their ethnicity, origin, or gender identity, we can make Colorado a national model. Colorado has never had an opportunity like this in our lifetimes. Our state’s growing and changing population are permanently shifting Colorado’s politics toward progressive values. Fifteen years ago, when Colorado was a very different state politically, visionaries like Jared Polis saw this change coming and invested in it. Today, Jared Polis is governor. And Colorado’s future could not be brighter. 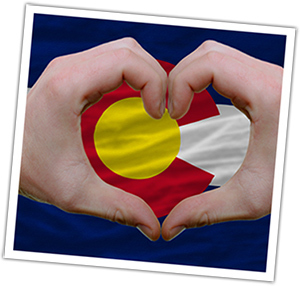 Colorado Gives Day: tomorrow, Tuesday December 4th, is Colorado Gives Day. Although ProgressNow Colorado makes a big splash during election season, the primary purpose of our organization is to advocate every day for nonpartisan progressive solutions to community problems. We don’t go away in the off-years, and your tax-deductible gift to ProgressNow Colorado Education goes directly into the work we do to ensure the values we share are reflected in measurable policy outcomes. Take a moment right now to schedule your gift to ProgressNow Colorado Education for Colorado Gives Day. Immigrants, refugees, and asylum seekers are again under attack. What can YOU do to help? During the week between #GivingTuesday (11/27) and #ColoradoGivesDay (12/4), the Colorado Immigrant Rights Coalition is hosting a Digital Giving Drive to defend immigrant and refugee families. Now is YOUR chance to make a difference…and encourage your friends and family to join you. This interactive exhibition uses powerful narratives of people and communities, maps, and other documentation to trace how government policy going back to the 30s, known as “redlining,” created racial segregation and disinvestment in communities that persist to this day. Undesign the Redline combines historical artifacts, storytelling, photographs and activities to illustrate redlining’s roots and lasting repercussions. The history in the Denver neighborhoods of Five Points, Park Hill, Montbello, Globeville and many others will be explored through stories, historical artifacts, and timelines that extend from the 1800s through the present. Help Sustain, Nurture and Grow the Denver Womxn’s March. Enjoy good conversation, food, wine and the inspiring photography by Judy Miranda celebrating the past Denver Womxn’s Marches! Photography from past marches will be available for purchase and proceeds go to fund the Denver Womxn’s March January, 19 2019. Colorado Rapid Response Network – Immigration is a hotline activates our more than 300 trained volunteers around the state to go to the site of an immigration raid and document what is happening. If it’s not an immigration raid, we dispel rumors and calm fears in the community. This prohibits certain kinds of unconstitutional ICE activities and promotes community trust, so that all people, regardless of immigration status, will feel safe going to school, reporting crimes, and accessing public health and human service programs, among other things. We are a network of concerned and committed groups and volunteers who want to shine a light on potential injustice – and create the space for change where warranted. Recent events have once again put discussions about masculinity and how we teach men and boys to behave at the forefront of public conversation. From the #metoo movement, to the online “manosphere” of pick up artists and incels, to the blatant sexism of our President, the implications are clear: we need to do more to challenge how men are socialized to interact with each other, women, and others impacted by sexism. Even more profoundly, we need to ask how we are teaching men to think about themselves. Celebrate Madre Tierra and her Advocates with an Artivist Fiesta! Now in our sixth year, this fundraiser will host food, music, arts, auctions, awards, and amigos. You Are Welcome Here – YAWH Meet-Up! As an effort to continue in community with one another throughout the year, we have created YAWH monthly meet-ups! We’ll be having our first meet-up at the Mutiny Information Cafe, but if folx have ideas for where to host the next meet-up go ahead and send Jazz a message. Just as we co-created the conference, let’s keep co-creating spaces of conversation, laughter, support, and some good food. Love to you all. You can send a message of support to someone who is locked behind immigrant detention bars this holiday season. A card and candy bar will be given to each man and woman who is detained in the Aurora Immigrant Detention Center. This is a powerful way to remind people they matter, they are not forgotten about and we do care about them. We live in polarized times. As red and blue states fracture and political discourse turns increasingly hostile, sober analysis of the left/right divide is needed more than ever. How can the President be seen by some as a savvy businessman with the courage to take on a corrupt political system, while others see a narcissist-in-chief whose buffoonery would be laughable if not so dangerous? Why is the contrast in perception so sharp on issue after issue, from climate change to immigration, MeToo to Judge Kavanaugh? In a wide-ranging discussion, Dr. Mark Horowitz will demonstrate that the left/right divide runs much deeper than political philosophy. Join us for a SCFD Community Free Day, featuring programming that was co-created with six LGBTQ-serving organizations: One Colorado, The GLBT Center of Colorado, Gender Identity Center, LGBTQ Student Resource Center at the Auraria Campus, Out Boulder, and PFLAG. Thanks as always. We’ll be back next week with more ways to make a difference!